Pyrre Lakatur doesn’t like the word skullsworn. It fails to capture the faith and grace, the peace and beauty of her devotion to the God of Death. She is not, to her mind, an assassin, not a murderer--she is a priestess. At least, she will be a priestess if she manages to pass her final trial. The problem isn’t the killing. Pyrre has been killing and training to kill, studying with some of the most deadly men and women in the world, since she was eight. The problem, strangely, is love. To pass her Trial, Pyrre has ten days to kill the ten people enumerated in an ancient song, including "the one you love / who will not come again." 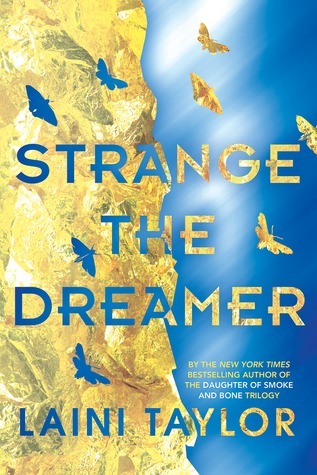 Pyrre’s not afraid to die, but she hates to quit, hates to fail, and so, with a month before her trial begins, she returns to the city of her birth, the place where she long ago offered an abusive father to the god and abandoned a battered brother—in the hope of finding love...and ending it on the edge of her sword. 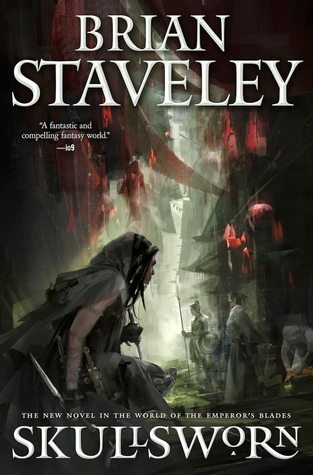 I've heard great things about Brian Staveley in the fantasy world, but I've yet to read any of his work! I hope to rememdy that with Skullsworn, which has a really promising plot summary and just sounds full of suspense and adventure. And a little darkness, and I love darkness. I've never read any of his works either, but that summary sure make it sound like an exciting read. Hope you enjoy it!